They say more people are choosing experiences over “stuff” for Christmas gifts these days. I am one of those people. You, too? 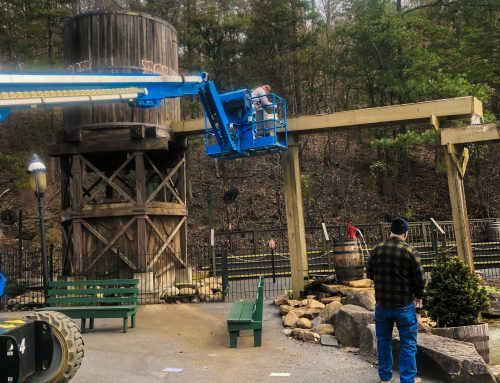 Then, I can help you with some non-traditional Dollywood ideas. 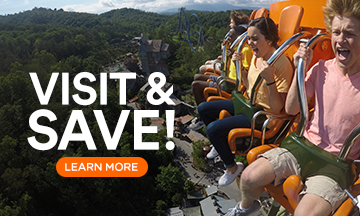 Even if you already have Season Passes to our park (if you do, skip ahead to #2! ), this list will probably give you something to consider that wasn’t on your radar before today. This one HAS to be listed at the top. Truly, it’s the gift that keeps on giving. With Season Passes, you are giving 10 months of family fun. You don’t have to decide between Great Pumpkin LumiNights or Smoky Mountain Christmas—you can do both! 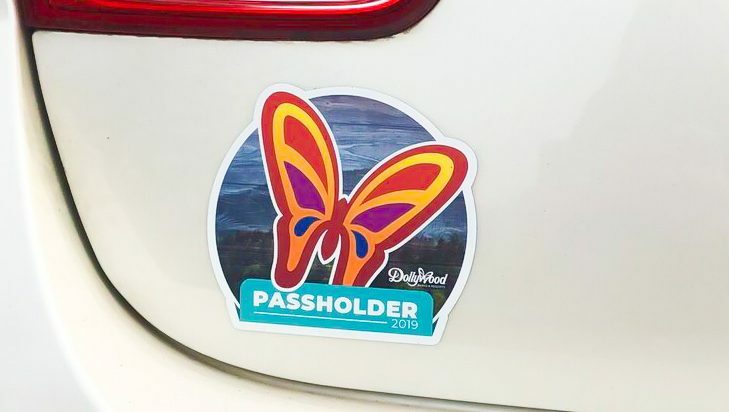 Purchase passes for 2019 now to get the lowest price of the season AND there’s a payment plan option. 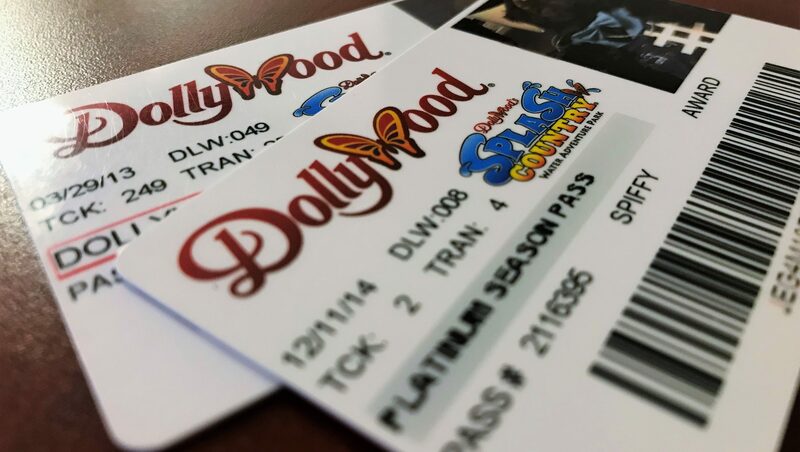 I wrote about why you should think about getting Season Passes in this previous post. I love the flexibility of this option. 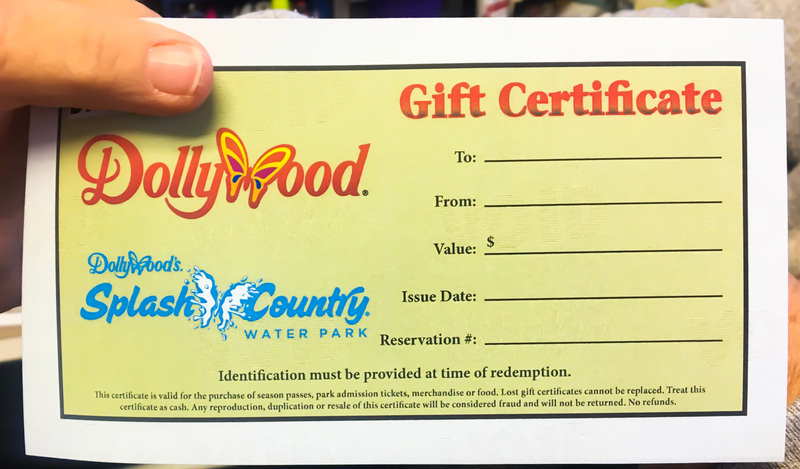 You can purchase a gift certificate in any amount for Dollywood or Dollywood’s Splash Country. Okay, what does that mean? Of course, you can use gift certificates toward tickets—but there’s so much more. 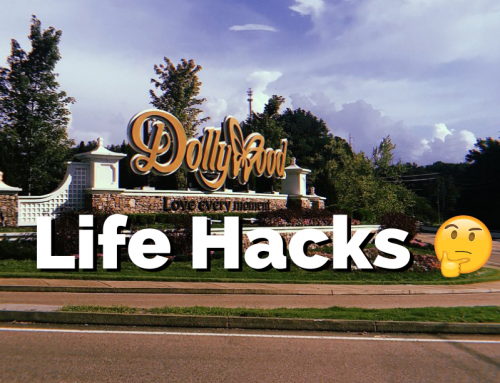 Use a Dollywood gift card to get the extras you usually don’t do like Valet Parking, TimeSaver passes or TimeSaver H2O. 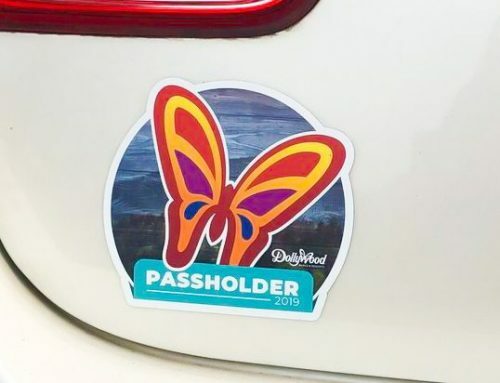 You can give loved ones souvenir refillable mugs, a Retreat or Canopy rental at the water park, or how about a VIP tour? Do you know how much your grandma loves to eat at Aunt Granny’s? You could give her a gift card to cover the cost of her meal. The possibilities are limitless. *It is important to understand that once purchased, gift certificates will be mailed to you. You will not be able to print at home, so be sure to allow time for delivery. Want to feel like a rock star gift-giver? 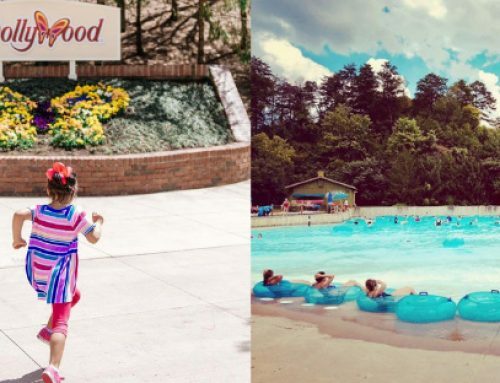 Gift someone a stay at Dollywood’s DreamMore Resort and Spa, or give them a night in a Dollywood’s Smoky Mountain Cabin! 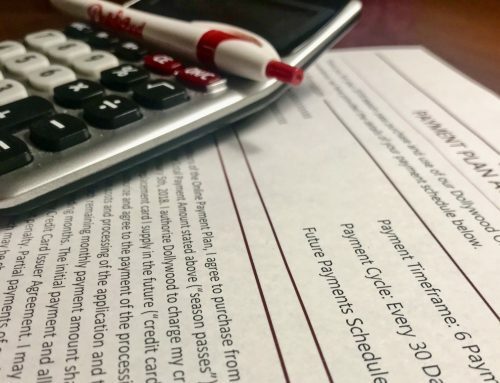 Like the theme park and water park gift certificates, you can choose any amount and it is good toward the cost of a room—plus extras! 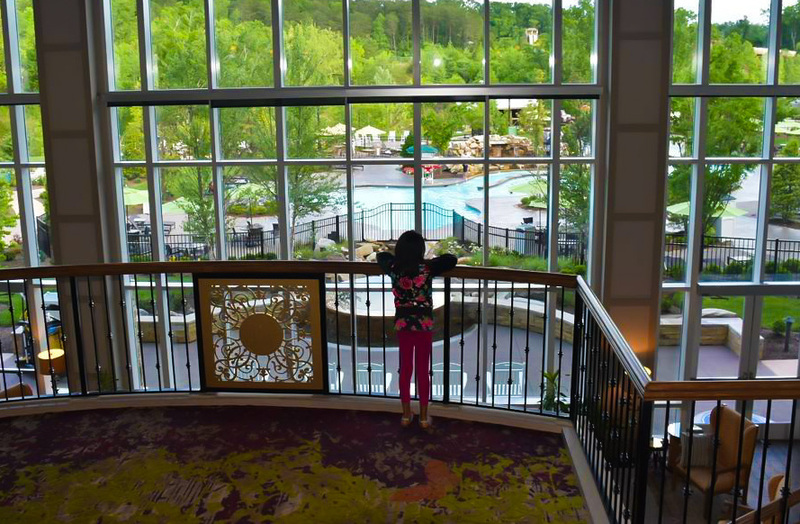 At the resort, you could use the resort certificate for food purchases; you could use it to send flowers or chocolate-covered strawberries to your room; or, you could treat the kids and use it toward s’mores or Camp DW activities. Like cash, you can even use it at The Spa! If you go with a cabin certificate, you can not only use it toward the rental, but also ticket packages. 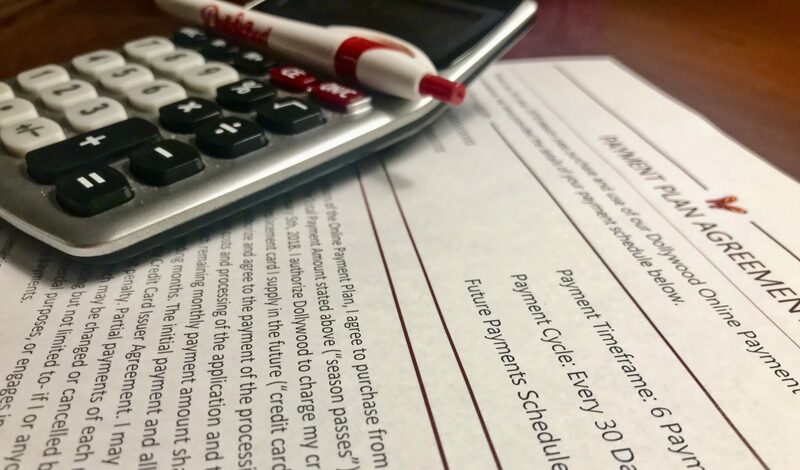 To buy resort certificates, call (865) 365-1900. To buy cabin certificates, call (866) 857-2123. *Remember, certificates will need to be mailed to you. Order early enough to allow time for delivery. Hot off the presses! 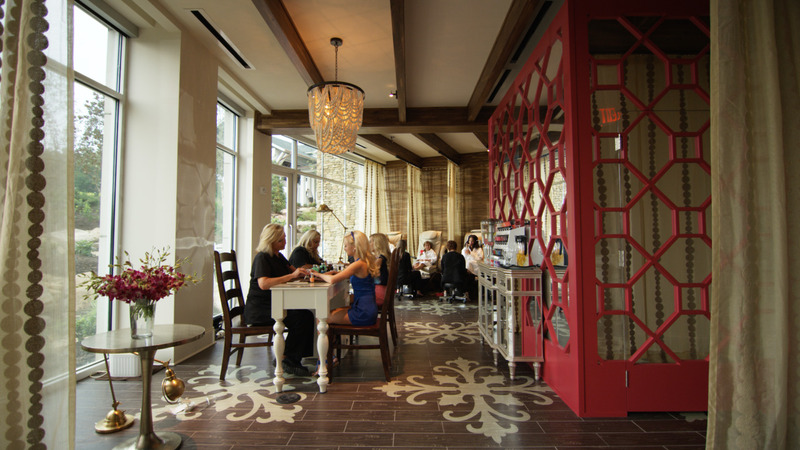 We now offer spa memberships at The Spa at Dollywood’s DreamMore Resort! Membership buys you a year of discounts on spa services (valid throughout 2019). If you don’t think you’d benefit from a membership, you could buy a gift card for any amount to cover a spa service, product and tip. 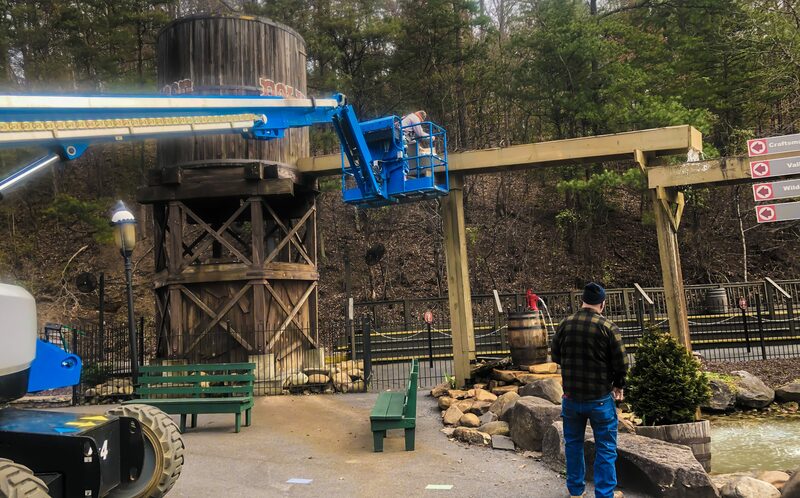 To purchase a membership or gift card, call (865) 428-9684. 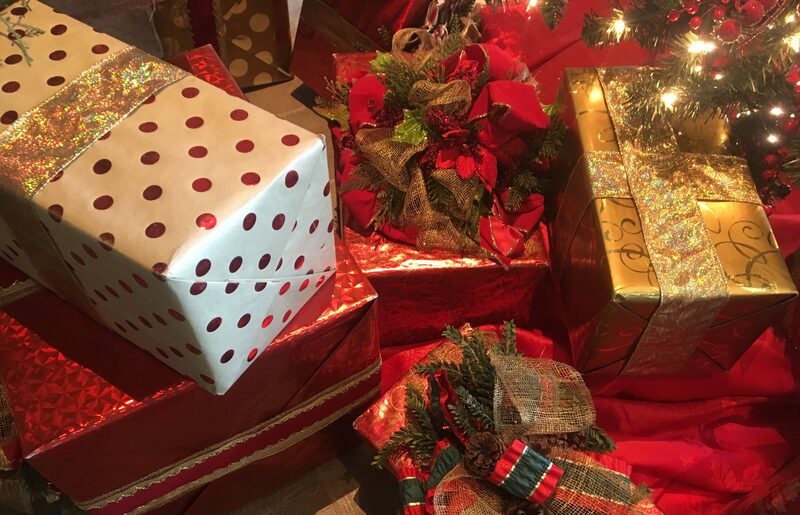 Even if you do prefer experiences, it’s nice to have some wrapped boxes under the tree, too. I’ve got you covered. 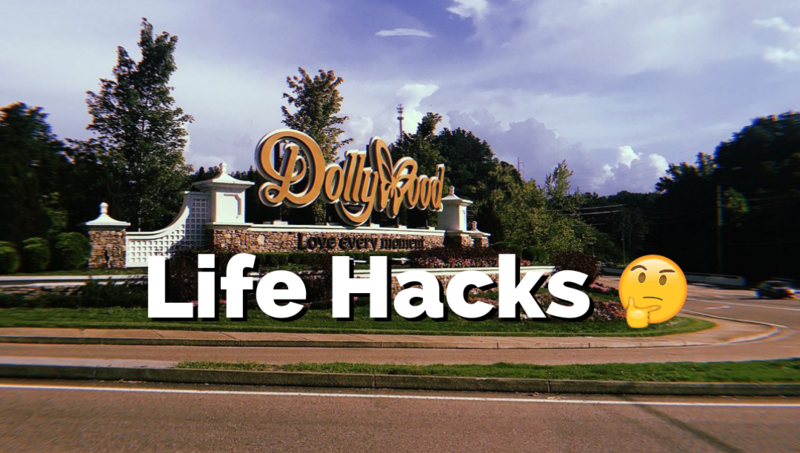 Last year I shared my favorite places to shop for fun Dollywood gifts. See that list here.